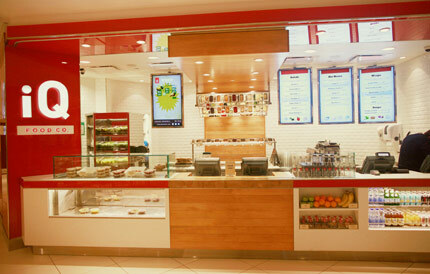 Earlier this year we provided the hardware, software and programming work for a digital menu board system at iQ Food Co., a start-up quick-serve restaurant located in Toronto, Ontario (get map). We took the creative by iQ’s design firm and made user-editable templates that the restaurant’s management can control with our MenuView CMS. A case study is available on our main website and as a PDF download detailing how digital signage in the store gives life to their creative ideas and provides a unique experience to their patrons. You can also stream one of their promotional videos below or check out the whole album on our Vimeo page.